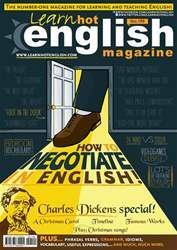 This month, SEVEN top tips to help you learn English grammar. Grammar = the ways that words are put together in order to make sentences. The First thing to do is to put grammar into perspective. Grammar alone isn’t going to help you learn a language. In order for language development to take place, you need to read and listen a lot. Think about children – they never sit down to learn grammar. They’re exposed to lots of language and then pick it up naturally. You can do the same if you listen and read enough! In fact, the more you read and listen, the more language you’ll absorb, and the more you’ll see how the language its together (which is what grammar is all about).